Crossing borders requires courage, creativity and openness for a new form of social and musical composition. The four members of the Beyond Borders Band are united in the dream to overcome those borders. They break up cultural boundaries, surpass geographical barriers and social and political stereotypes in order to connect the arabic and the western world. These characteristics lead to their self-composed, original music. 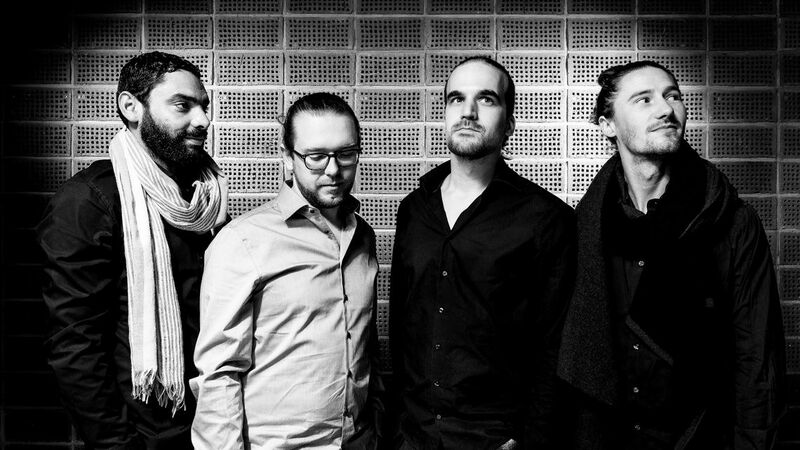 Sensually ambitious and fully intoxicating, this unique sound makes the young group stick out among the contemporary musical collectives combining Orient and Occident. From October until November 2018 and in February 2019 the Beyond Borders Band is taking It Just Happens on the road for concerts in Germany, Switzerland and Tunisia. CD Release Fall 2018 "It Just Happens"
After their self-published debut, Un Coup De Destin (2013), the border-crossing German-Tunisian collective took an extensive break until the present release, It Just Happens (2018 HOUT records). In today’s fast-moving times this might seem odd, but it goes in line with the band’s principle: their collaboration is a process of creation that doesn’t end with the first release tour. Over a considerable amount of time they need to surpass vast distances and cultural differences to further grow together as a group. It is all about accepting the other side for what it is and defining one's own identity from a new perspective. The Beyond Borders Band takes its name literally. The group’s openness and readiness to overcome borders characterises their uncommon exchange and plays an important role in forming each individual’s musical personality. After almost seven years of developing a unique style in numerous concerts, and after many travel hours, the band reached a strong personal and musical relationship. This builds up trust in every situation, personally and musically. This is the main reason why we can expect them to take the music through the roof on stage. There are no tactics, no plan, but an interplay of childlike excitement and unwavering determination. Here and now. It Just Happens. The current release offers a broad musical spectrum of driving Jazz solos, Rock backbeats and arabesque melodies. From October until November 2018 and in February 2019 the Beyond Borders Band is taking It Just Happens on the road for concerts in Germany, Switzerland and Tunisia. The tour launches with a debut appearance at renowned Enjoy Jazz Festival in Mannheim, Germany on 30th October. They are also using the festival’s international recognition to present another premiere: In collaboration with international film artists the band has created a film that follows the concept of the music. With the unique history of Beyond Borders Band as an example, the picture discusses questions about cultural identity, prejudice and open intercultural exchange. 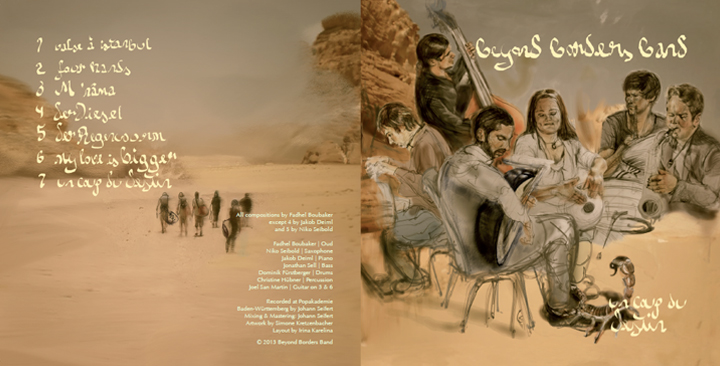 CD Release 2013 "un coup du destin"
“With all the Soloists of Beyond Borders Band, it is simply flying high. Composition-wise, there is a consistency, a coherence, originality and innovation." " A real silversmith work and (the essential!) no "plating" between oriental phrasing and Western phrasing. Nothing overdone, "juxtaposed", but sounds that meet, even merge into one another because precisely they are intended for them." “This band takes you to a concert, in a fictional country, where cultures marry in harmony, giving birth to this magical Métis music."